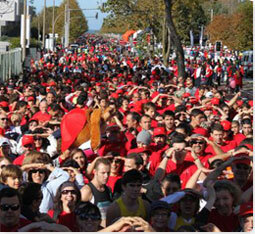 - The distance of the mini marathon will be not ranked because it is simply open event where you can run or walk. - 15Km (Race of the Family): Ranked race, with bonuses for the first three senior men and women and the first three veterans male and female. - The Marathon: The following categories will be awarded: Seniors veterans I-II-III-IV-V and VI (male), seniors and veterans I - II (female). Note: will be considered veterans, all male and female athletes over 35 years. Participation in the marathon and the Family Race is allowed to anyone with more than twenty years, the mini marathon is an event open to all ages. 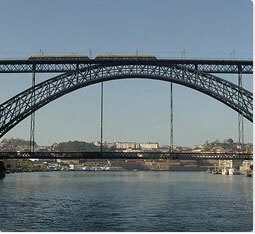 Oporto, Porto in Portuguese, is the second most populous city and the largest in Portugal. It is a city with nearly 250,000 inhabitants, and located in the commune of Grande Oporto, with over two millions inhabitants. Oporto situated in the North of the country, close to the border with Spain, and has an area of ​​approximately 42 square kilometers. .
Oporto has a railway station that connects with Madrid and other cities in Portugal and Spain, an international airport with flights serving Barcelona, ​​Madrid, Paris and other European cities, and a good network of roads. Once finished your race, feel free to explore the city walking, get lost in it and be surprised by the beautiful scenery that the city of Oporto has to offer you. Run the Marathon of Porto and discover the charm of the city. - Oporto is a very attractive especially with its historical heritage that will not leave you indifferent while on holiday in Portugal. The historic center presents a lot of beautiful monuments, declared a World Heritage Site by UNESCO. Its monuments and museums are the first attractions of the city, located 150 kilometers from the border of Tui, Pontevedra. 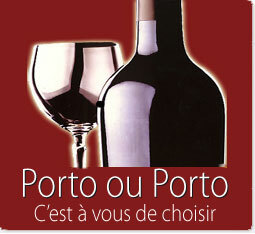 Its wine, the famous port wine or wine of Oporto is also a major attraction of the province. The personal challenge is combined also with a city tour. Retain now the date of November 3, 2019. The event of the Oporto Marathon is open to all athletes licensed or unlicensed, born in 2000 or before. From the age categories will result in a separate ranking in accordance with the FPA. It is reminded that inspections will be conducted during the event to ensure optimal conditions race regulations. It is expressly stated that runners compete in the race under their own responsibility.